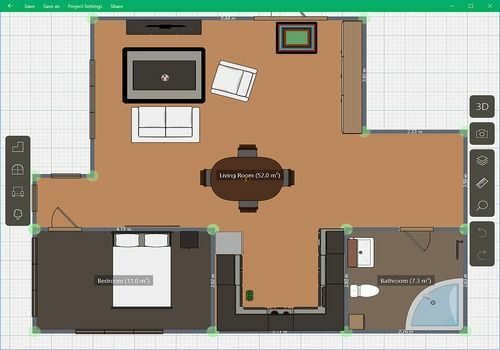 Planner 5D is an application that can be downloaded from the Windows store; it allows you to design residential plans and visualize them in 3D. You can very easily draw with the mouse the different rooms of your house or apartment, add doors, windows and specific textures for floors and walls. The user can also imagine the layout of his project from the many decorative objects and furniture in the catalogue. Note that the free version does not allow you to work on high definition visuals. An interior design software with a very impressive catalogue of decorative objects that will make it easy to personalize your house or apartment. Blophome is a 3D interior design software that allows you to create photorealistic views of future decorations.